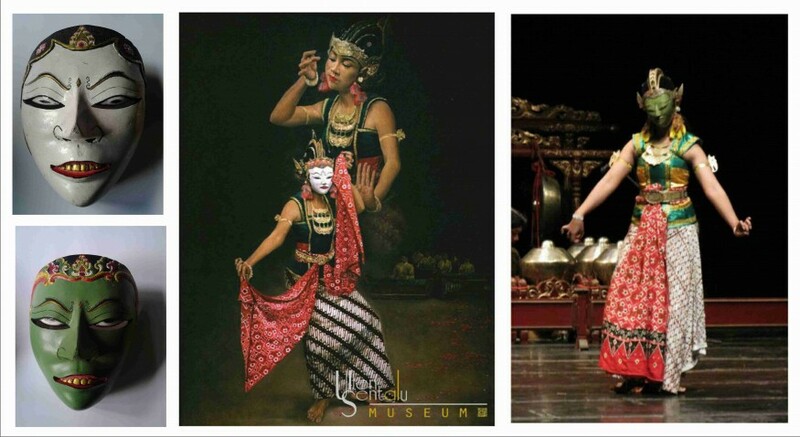 Ullen Sentalu Museum initiates a living heritage program of the mask culture. Museum is a 'dream-space' that can accommodate memories, emotions, feelings, imaginations, and expressions and relate them to historical factors and tradition to put into a Mask as collection and ‘living heritage’ in museum. Mask, as it has been proven, is a more effective medium to revive memory when it is shown in a set of dance performance, costume and accessories display, seminar and workshop because human cognitive power, good memory, imagination, the power of interpretation, creativity and a whole more could be put into a frame. As stated by Umberto Eco in ‘Travelling in Hyper-Reality’ the authenticity offered is not historical anymore but visual. 'Everything looks real, because it is real, just like Alice in Wonderland who never existed, but looks so real'. Thus, the most important in the Modern Museum is not merely exotic objects on display, as in the era of Wunderkammer, but the meaning it contained, and not merely the meaning as set out in the object-oriented period for limited audience but the useful meaning for the community. In the latest development, it is no longer a benefit that should be re-read based on artefactual, but the benefits presented in thematically and informatively through living heritage program that provide comfort and ease in understanding for public. The Javanese Art and Culture museum of Ullen Sentalu located in Kaliurang, Yogyakarta, has proved that the application of information-based New Museology, the inclusion of collective memory and the insertion of Living Heritage program are able to expand the significance in conserving tangible and intangible cultural heritage. It is holistic and integrated strategy that successfully worked.